As part of TAG, the club also takes bookings for displays and shows at local events. 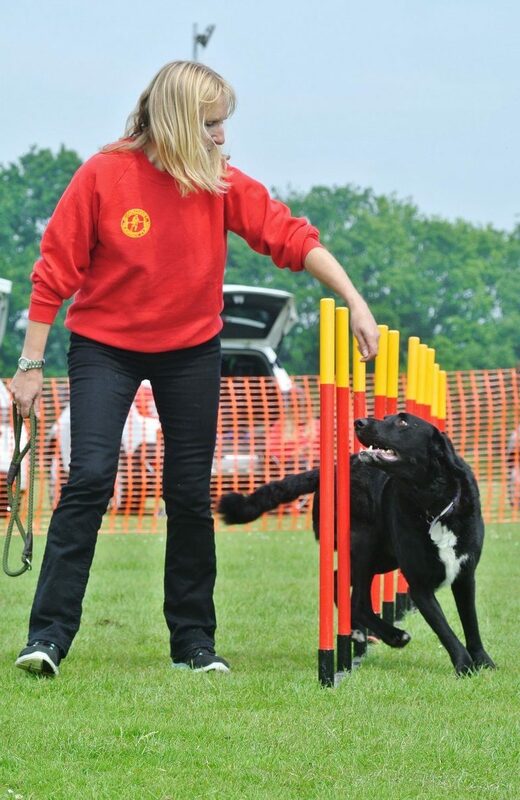 You will often find us at village fetes, fun days and country shows, where we perform our agility display to entertain the public. National Animal Welfare Trust (NAWT) Clacton, Tendring Hundred Show, Hospital Radio Fun Day, Hadleigh Show, Five Parishes Show, Capel Fun Day and New Hall Vineyards. There are a variety of dogs and members ranging from beginners to advanced which makes a great mix for a display. You get the opportunity to see the dogs on the equipment and there are a few comical moments too with relays races. So if you are out and about over the summer season at one of these events, look out for our members in their red and yellow uniform and our red and yellow trailer, come and take a look at our display. If you are interested and wish to inquire about a possible booking, please use the booking form below. We also perform displays for residential care homes if space permits and offer this type of venue at a concessionary cost. Some of our annual regular displays and events include National Animal Welfare Trust (NAWT) Clacton, Tendring Hundred Show, Hospital Radio Fun Day, Hadleigh Show, Five Parishes Show, Capel Fun Day, Witham Carnival and many more. At some events such as NAWT and the Tendring Show, we offer the chance for the public to have a go with their dog on our agility course, so if you see our "have a go" sign, come and join in the fun….try it! £2 per go. Dogs must be over 1 year old and children must be accompanied by an adult.